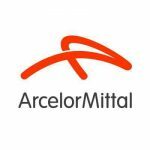 A Department of Energy grant will be used by ArcelorMittal Global Research and Development in East Chicago to develop a more energy-efficient and cleaner steelmaking process. The company announced it was awarded a share of a $1.2 million High Performance Computing for Manufacturing Program grant, aimed at solving key manufacturing challenges in steelmaking and aluminum production through supercomputing. ArcelorMittal USA is working with Lawrence Livermore National Laboratory to apply high-performance computing and machine learning to enable more energy-efficient, defect-free manufacturing of steel slabs. The iron and steel industry is the fourth largest energy-consuming industry in the U.S., according to government estimates. The iron and steel industry consumed an estimated 6 percent of the total energy consumed by the nation’s entire U.S. manufacturing sector. Producing defect-free steel slabs would lead to energy savings and reduction of carbon dioxide emissions during the steelmaking process by minimizing waste and increasing quality and yield, according to the company.